To become and remain our client’s most trusted adviser. To be recognized for delivering an unrivaled combination of successful wealth management solutions and exceptional client service. 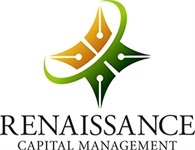 At Renaissance Capital Management we value deep respect for the individual, integrity in thought and action, teamwork supported by a family-oriented culture and relentless commitment to excellence.